We set out to write a review that didn’t just discuss how algae production work in general, but instead focused on how it can become more viable through integration with industry and outputs from other processes. In particular, we considered requirements for nutrients, water, carbon dioxide and heat, which are all essential for algal cultivation and have a large bearing on the impact and cost of production at large scales. We are really pleased that the community has shown such an interest in our work, and to be the 6th most downloaded article of such a relevant journal is very encouraging that the approach we take is in line with where the field is going and that we are heading in the right direction. 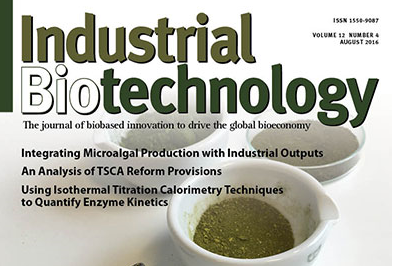 Read the review article Integrating Microalgal Production with Industrial Outputs—Reducing Process Inputs and Quantifying the Benefits here (external webpage). The article is authored by BioBUF researchers: Joshua Mayers, Anna Ekman Nilsson, Elin Svensson and Eva Albers.